Seattle Opera Blog: Celebrating Shakespeare in Opera! This month commemorates 400 years since the death of Shakespeare, and people around the world are honoring one of the greatest forces in the history of theater. Perhaps you’re heading down to Seattle’s Central Library to check out the FIRST FOLIO that’s on exhibit there. Maybe you’re sharing a personal Shakespeare story on the Shakespeare Theatre Association’s DIGITAL QUILT. If you’re in LONDON, you’ll have a hard time avoiding the Bardolatry. Like Falstaff, who claimed that not only is he witty in himself, he is the cause of wit in others, so Shakespeare was not only an inexhaustibly creative wellspring of theater himself, he caused great theater in others. Shakespeare’s plays have inspired opera composers for hundreds of years. Here are moments from a few of our favorite Bard-inspired operas at Seattle Opera; CLICK HERE to listen to a full playlist without interruption. Italy’s great operatic titan, Giuseppe Verdi, was obsessed with Shakespeare all his life. For Verdi, Shakespeare was the key to evolving opera away from the standardized bel canto forms of Verdi’s youth toward the unique masterpieces of Verdi’s later years. Verdi took his first big step in 1847 when he attempted to make Macbeth into an Italian opera. Shakespeare’s dark tragedy of a king-killer unleashed the blood-and-thunder power of Verdi’s musical imagination in no uncertain terms. Verdi was 34 when he first worked on Macbeth. In his late 20s the composer had lost two baby children, as well as his young wife. 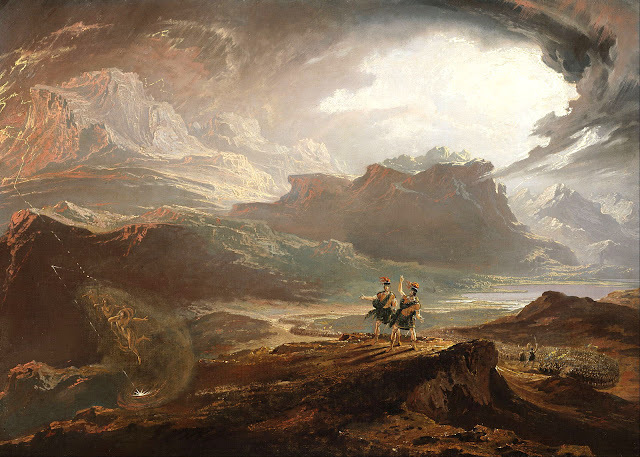 Little wonder, then, that he poured the emotions of his personal tragedy into the music he wrote for Macbeth’s enemy Macduff, who was similarly helpless when it came to protecting his family. 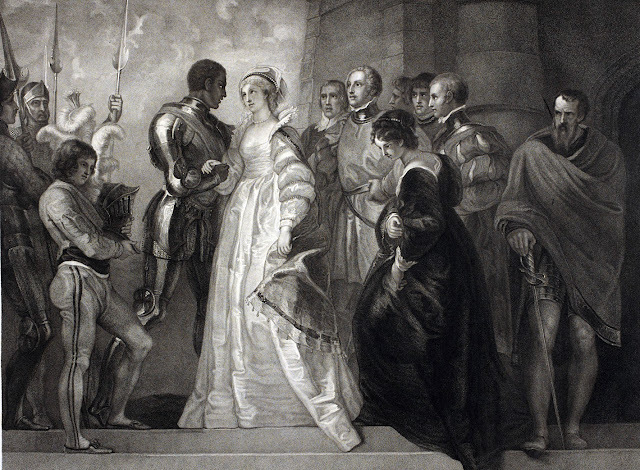 In France, the cult of Shakespeare began in earnest in the 1820s, when Romantics like Victor Hugo and Hector Berlioz became committed Shakespeareans for life. By the 1860s, the French were translating Shakespeare into their favorite form of theater: magnificent French grand operas such as Hamlet, by Ambroise Thomas (yet to be presented in Seattle!) and Gounod’s appealing Roméo et Juliette (which we’ve done a couple times). Listen to the frantic tongue-twister of an aria Gounod wrote for the baritone who sings Mercutio, whose nutty “Queen Mab” speech is always a challenge for Shakespeare actors. Of course you can’t do Romeo and Juliet without the balcony scene. In Gounod’s opera, before we hear the inevitable duet for the young lovers, Roméo sings one of the most romantic arias ever written, “Ah, lève-toi, soleil” (Ah, arise, sun), just when his counterpart in the play might say “Her eyes in heaven / Would through the airy region stream so bright / That birds would sing and think it were not night.” When the great Italian tenor Franco Corelli sang this music in Seattle in 1968, his decrescendo on the concluding high note made the entire audience feel like beneficiaries of Roméo’s tender love. George Bernard Shaw once wrote that Otello wasn’t a Verdi opera in the style of a Shakespeare play; instead, Shakespeare wrote Othello in the style of Italian opera. If theater, as an exercise, involves a balancing act between thought/logic and passion/emotion, in this story characters make decisions based, not on reason, but on the titanic feelings which are flooding them. It’s hard to sing—and, when sung well, hard to resist. The world thought Verdi was finished, when Otello opened in 1887. But he surprised everyone, six years later, with another dazzling opera inspired by Shakespeare. With Falstaff, the 80-year-old Verdi invented a new kind of comic opera, one which would go on to inspire many twentieth-century composers. Verdi’s Falstaff doesn’t really have arias, duets, or other standard forms. Instead it flows like quicksilver, an ever-glittering river of brilliantly fused text and music. 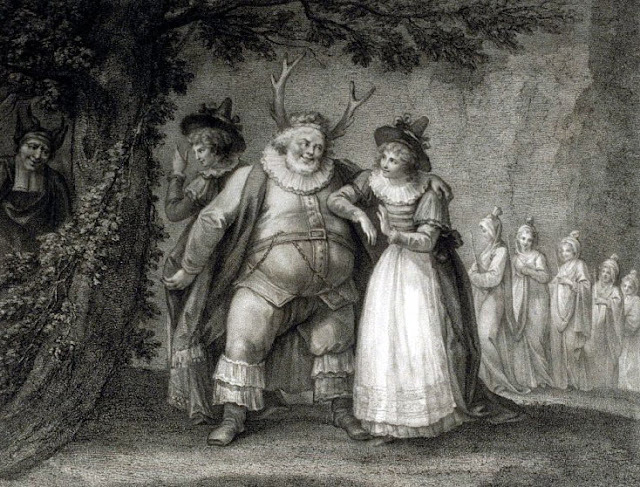 Here, for example, is Falstaff teasing Alice by not quite singing her an aria about the salad days of his youth (using a line Shakespeare’s Falstaff used to tease Prince Hal, who was ribbing him about his weight). In 1960, England’s leading opera composer turned to England’s most revered playwright for inspiration and produced a fascinatingly compelling and forward-looking work. Benjamin Britten loved working with young musicians, and was gifted at writing music which could simultaneously showcase and stretch the skills of performers at every level of accomplishment. 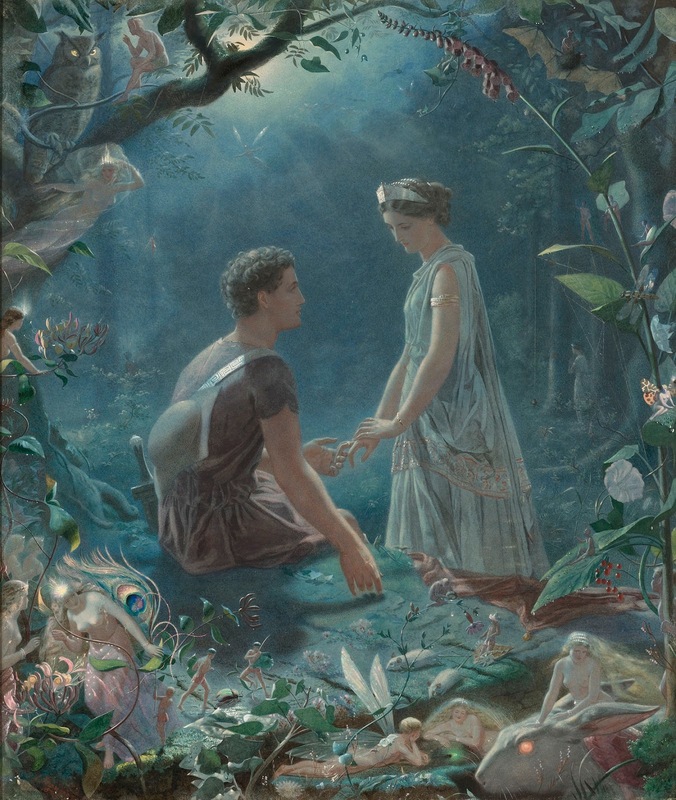 A Midsummer Night’s Dream inspired him, not only to stretch the standard operatic sound-world in pursuit of an eerie, otherworldly sound for his fairies, but also to celebrate (and spoof) the artistic activity of non-professionals. Just as Shakespeare’s team of dim-witted would-be theater artisans bungle their Pyramus and Thisbe play in a spectacular send-up of bad Shakespeare, so Britten makes musical fun of bad opera when he sets that delightful scene. Britten’s Midsummer score is full of strange and startling sounds: instead of an opera singer as Puck, Britten calls for a squeaky-voiced teen (always accompanied by jazzy solo trumpet). Oberon is a countertenor, a male falsettist, a voice type which hadn’t been heard in opera for hundreds of years (although it was alive and well in the world of British church music). Britten concludes his gorgeous opera with a stately Renaissance dance as the fairies process through the house and bless the three nuptial couples and all their future progeny. 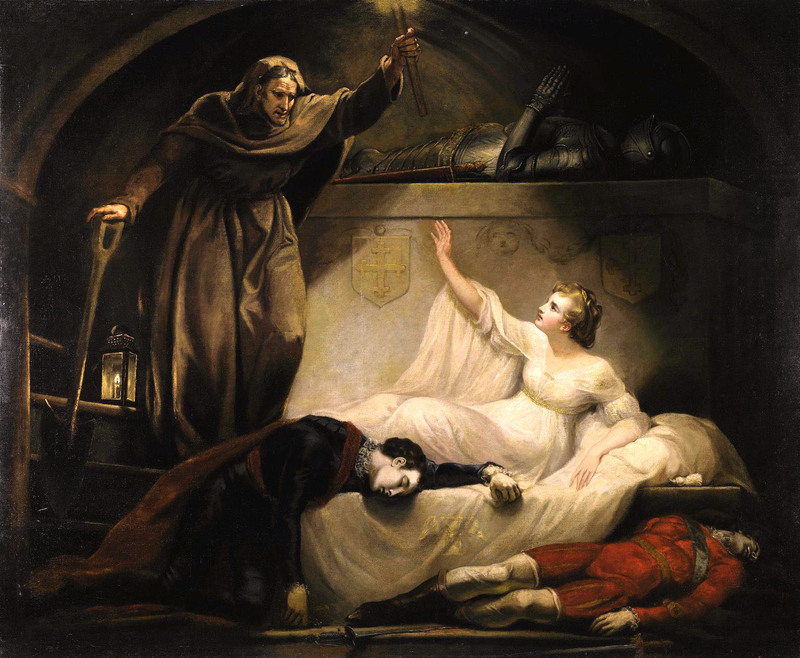 In addition to these five wonderful operas, there are loads of others inspired by Shakespeare. We’ve got some coming your way in seasons to come...stay tuned! this is how heaven sounds, fantastic!ukrainian girls very like opera!